The Street Foods of Rio de Janeiro – Why Waste Annual Leave? Apologies, your honour. 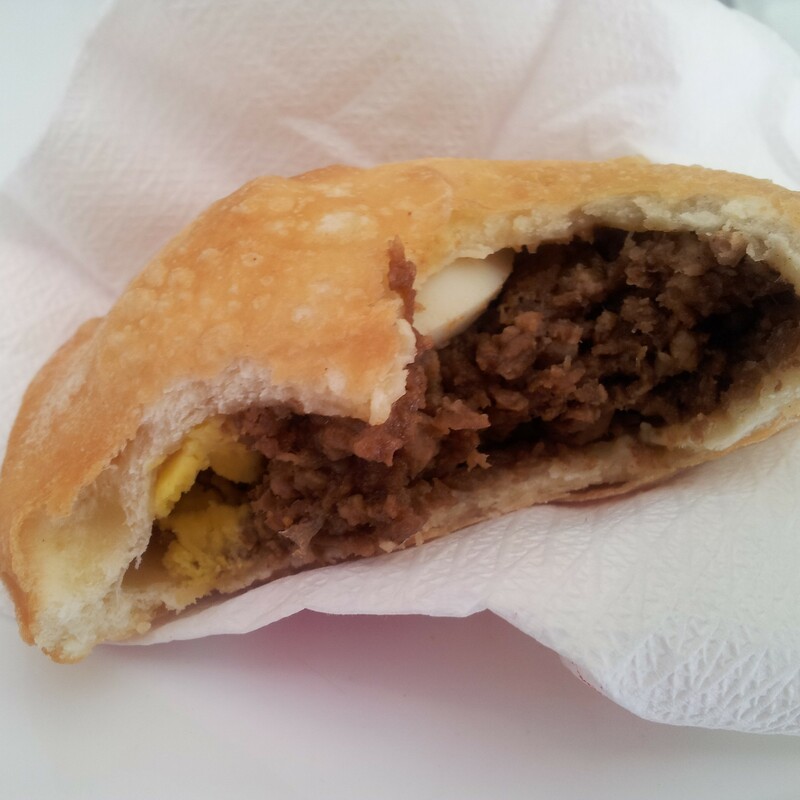 I commence with a confession: It took me until 2013 to finally muster up the courage to sample real street food. When a bout of exhausting and severe gastroenteritis struck me as a 12 year old in India, I was left with a gripping fear of all manner of roadside snacks – completely counter-intuitive of course, since it wasn’t even street food that caused the illness. But this rationale is not something one appreciates at that age so the portable apprehension shadowed my future eating habits as I traversed the globe, resulting in me missing out on some of the best foodie finds in countries like Thailand and Hong Kong. In Rio de Janeiro, I wasn’t really expecting to find much street food. We weren’t going for the food and we certainly didn’t research it so when I spotted carts dotted along the boulevards of the Copacabana, I was determined to make up for lost time. As one of my favourite ever desserts, Churros are fried-dough desserts, rather like elongated doughnuts with slimming ridges along their length. Spanish churros are often produced in spirals before being cut up and served with melted chocolate. Brazilian churros are made straight and are filled with a central piping of chocolate or dulce de leche (or doce de leite in Portuguese). The sugar dusting yields a dissolving, grainy surface to the crispy exterior but that moment, when your mouth cuts into the sinfully sweet and creamy dulce de leche, is nothing short of an explosive epiphany to the tastebuds, the luscious sauce oozing langurously from the centre like viscous, caramel magma. If you can’t quite make it to Rio, the fabulous Brazilian Churros stall at Greenwich Market is the closest alternative for hungry Londoners. Endemic to this part of the world, the acai berry from the acai palm plant is hard to miss in Brazil, being used as an ingredient for a range of foods and drinks but I spotted it most often in the form of frozen acai pulp, reminiscent of frozen yoghurt with a velvety, maroon hue and the option of a granola topping. The portions were huge so we shared one between us and you’ll have to forgive my photos, which do not do it justice but in the tropical humidity, I was more concerned with inhaling this zingy cooler than I was with Instagram. I must admit I only really tried this to ease my conscience about the lack of vegetables I was eating during my time in Rio. I’m most partial to corn on the cob when it’s cooked on a flame and moistened with a bit of fresh lemon juice and salt. Here in Rio, it is boiled and laced with a little knob of butter and salt. It was certainly nutritious and seemed very popular with the locals but personally, I found myself missing the charred, brown surface. I love the sense of discovery when travelling and all the more delicious when it happens to be a food discovery. Tapioca, I have heard of but never a tapioca pancake. Made from manioc flour and water, this mixture quickly melts into a crepe when placed on heat and can be filled with a range of sweet and savoury fillings including banana, chocolate, coconut, guava paste, meats and cheese. The tapioca batter is quite dense so one of these could easily make for a hearty, street food lunch. Are you spotting a trend emerging? Brazilian food cannot be accused of leaving you hungry! In England, I am rarely tempted by fast food – I occasionally collapse under the pressure of self-discipline on a Friday night to indulge in (half a portion of) fish and chips but these moments are rare. If, however, Pastels were as commonplace in the UK as they are in Brazil, then it would be an altogether different scenario. These adorably-sized, mini pies are deep fried and come with a variety of fillings, including chicken, beef, cheese and even soya mince and less commonly with sweet fillings, such as guava jam. It is an enormous relief to my gastronomic senses that the curse of the “street-food fear” has finally lifted and if a trip to Rio de Janeiro is on the cards for you, don’t miss these delicious bites! Do you love street food? Where in the world have you experienced the best street food? sounds pretty tasty actually – I am like you (were!) – not keen to try the street food. I can completely relate how a bad experience can impact future habits. I’m the same way, except with… public bathrooms (due to some truly traumatizing experiences in China)! I’m glad you cured your fear! 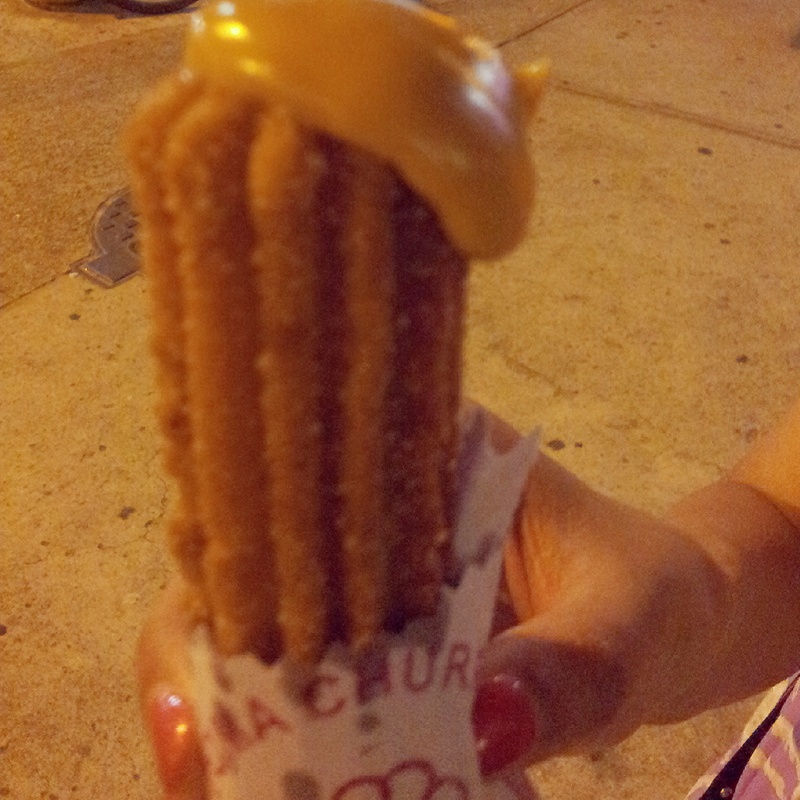 Otherwise, it’d be sad to miss out on all that yummy Rio street food… especially the dulce de leche churros! Aww that’s nice! I’d only ever seen it done on a flame before in other parts of Asia so this tasted a little bit different and I preferred sticking to Churros! I MISS, MISS, MISS street food so much now we’re travelling in Europe. I think that it’s something that we’ve seen disappear over the past 100 years that I think every traveller to places like Asia and South and Central America are going to fall in love with and wish they could sample when they are back home. I’ve only tried Brazilian churros at music festivals and it must be said that they’re pretty darn nice, but probably not as good as the real thing; and as for acai, I only really tried it recently and fell in absolute love! Now I’ll be craving churros all evening when England plays Uruguay in Brazil. And the frozen acai berry looks gorgeous too. Glad to hear that you’ve gotten part your fear of street food! (Although to be fair, that’s a legit reason to be wary) Best street food I’ve had was in Beijing (at what my friend described as “Eat Street”) – I’ve been hooked ever since! Oh poor you! I’m not surprised that you’ve been wary with food choices since that episode. I’m so glad you survived your street food experience and discovered some amazing dishes. You missed out one of my favourite stalls in Rio though – the ones selling the Caipirinhas! Lethal, but tasty! 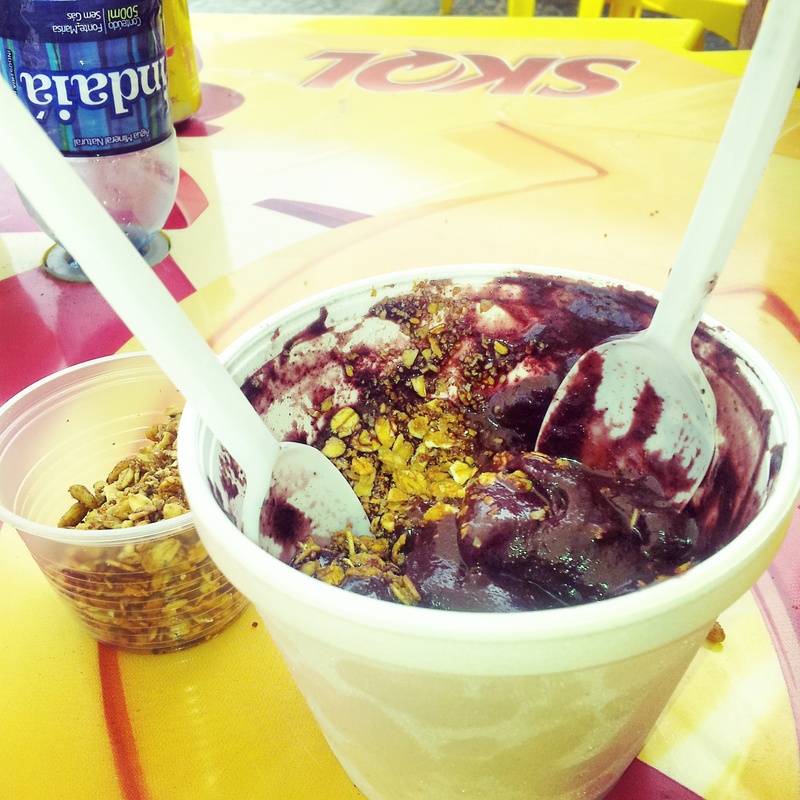 I have just returned from Rio and I absolutely fell in lve with Acai Berry. Soo yummy! Pingback: Porto Bay Rio Internacional Hotel, Copacabana Rio de Janeiro | Why Waste Annual Leave? Pingback: A Foodie in Cuba – A Mini Guide to Havana’s Best Restaurants & Bars | Why Waste Annual Leave? Pingback: Sampling the Best Moroccan Cuisine with Marrakech Food Tours | Why Waste Annual Leave?